after my summer holidays i finally found the time to make the Jaguar G3 for my personal Spa 24H project. The car looks so nice that i thought, why not sharing this beauty with you. 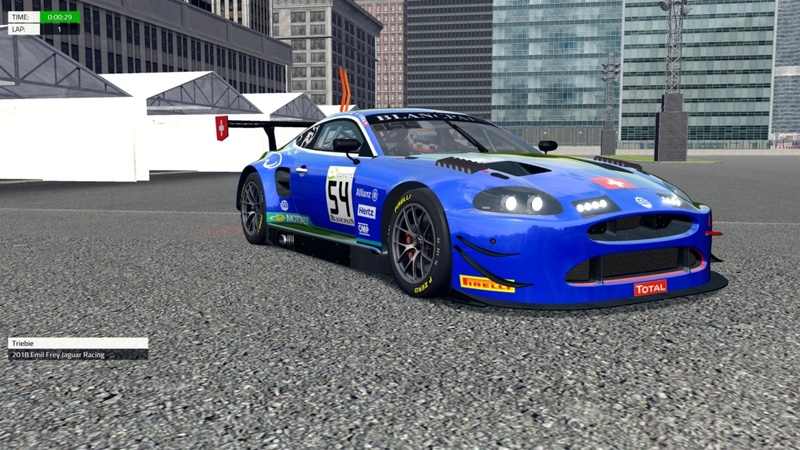 The car will pop up as the Jaguar G3 in the EEC GT3 mod. Irontower - the car is based on his outstanding work by bringing that car from FM7 to GTR2. I adapted it and add my modifications to it. Raphaelnariga - for that beautiful 2018 skin for that car. i deleted the painted Endulights because i add some 3d ones. Thanks a lot mate, great car! Hey Trieb, Like your Jagerati. Drives great. Really goes well with Humberto's Maserati sound file. Also goes well with my DTM with no skins to drive with and my 2016 WTCC that no one will fix. Hope you build something all the way on the next one. Thanks. Which part did I get wrong Trieb? so if you want something from me, pm me. This topic is about the Jag. If you have something to complain about that car please go ahead. I don't want anything from ya Trieb. You told me publicly that you wouldn't fix the WTCC mod, I have an awesome DTM car with no skins and a Jag with no sound. I 'm worried about one of the most skilled guys on the scene. That's you. You're capable of doing stuff all the way. Why not do it? @elvis feet wrote: I don't want anything from ya Trieb. You told me publicly that you wouldn't fix the WTCC mod, I have an awesome DTM car with no skins and a Jag with no sound. I 'm worried about one of the most skilled guys on the scene. That's you. You're capable of doing stuff all the way. Why not do it? OK, last comment from my side. If you want skins, make them because i am no skinner. btw, dunno what DTM car you are even talking about, must be some time ago. Wtcc mod is history and works fine the way it is. and it is not too much work to copy/paste a sfx file into a folder right!? 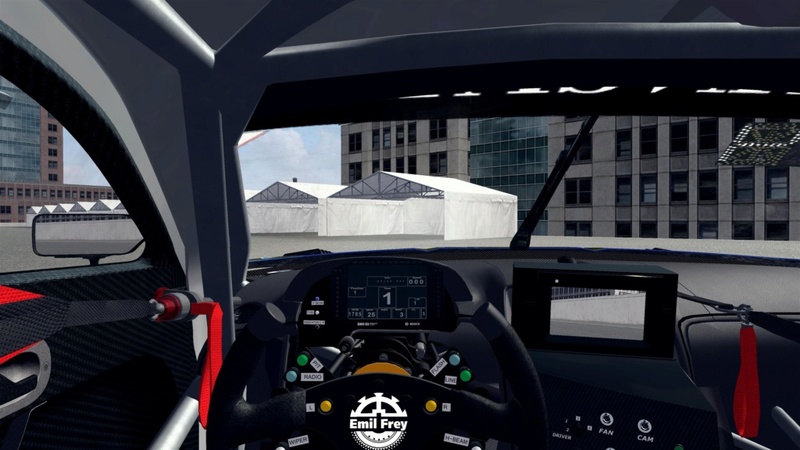 enjoy my recent mods like the NSX, Lexus or the Jag or Oreca. or enjoy what is given to you. @elvis feet wrote: Hey Trieb, Like your Jagerati. Drives great. Really goes well with Humberto's Maserati sound file. Also goes well with my DTM with no skins to drive with and my 2016 WTCC that no one will fix. Hope you build something all the way on the next one. Thanks. No one will help you if you go around acting like this being all passive aggressive. Especially if you're brand new, haven't even done an intro, and your 4 posts are complaints. Great addition though Ulf, filled the gaps with the oddball GT3's. Wow, thanks heaps for the Jag! @Cesar Zardo wrote: Awesome job!!! just pm me about what you want to do and i will support you. Awesome car, appreciate the upload, thank you! ... and another masterpiece, thanks a lot for sharing ! As the car doesn't have sounds, what is the best sound available to use? Have never actually heard what it sounds like.... Thanks! I use the Aston GTE Sounds from the EEC Endurance Cesries mod. @CrivitzChris wrote: As the car doesn't have sounds, what is the best sound available to use? Have never actually heard what it sounds like.... Thanks! Any good Bentley or Aston GTE sound should fit. Could you do the two Spa 2017 skins for that car? Would be awesome to have more than just one real skin for it.